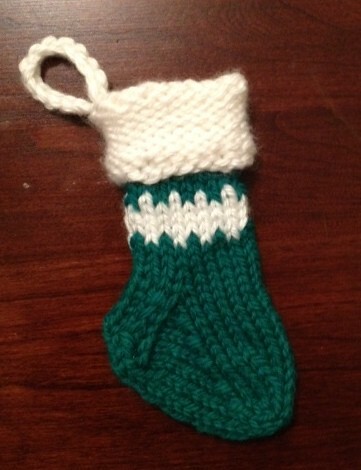 My mom knitted this teeny little stocking for the November ornament theme -- just a little something she whipped up in between all the wooly socks she knits to send to orphanages overseas. Jen's intention with this year-long ornament challenge was to create some ornaments that would be toddler-friendly in her home. This one will be perfect when granddaughter Hannah visits and heads straight for Mom's tree in all her toddler curiosity.